mechanical power to drive the vehicle’s wheels. electrically-driven accessories for smooth and efficient operation. 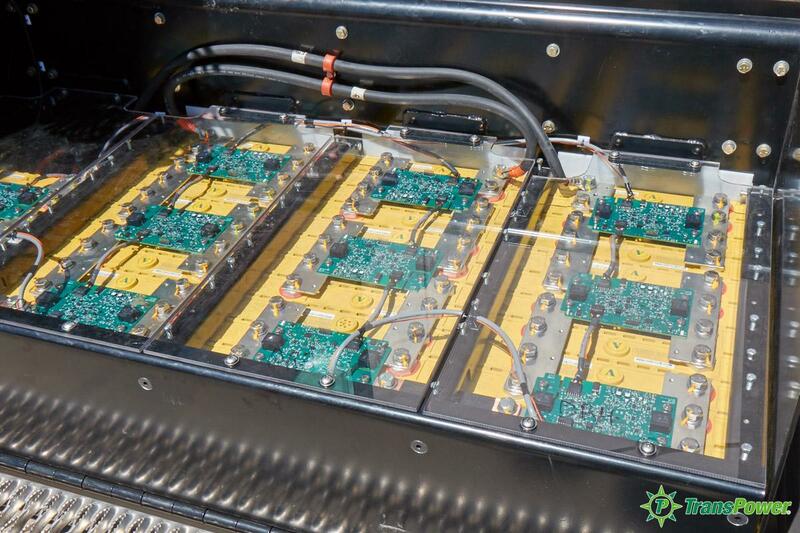 large quantities of batteries required for large electric vehicles. short-duty-cycle trucks and buses garaged at the same location each day or night. TransPower’s mission is to develop and commercialize advanced power generation and conversion technologies that improve efficiency, reduce fossil fuel consumption, and improve the environment. 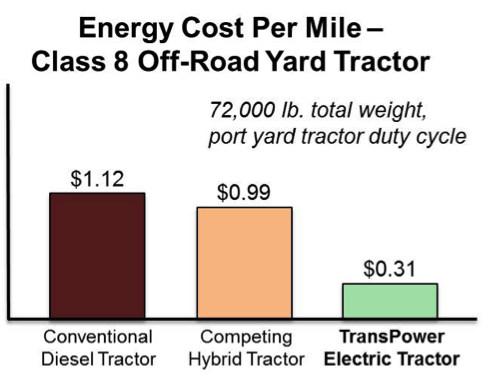 TransPower provides an exciting range of zero-emission transportation solutions for heavy-duty vehicles. 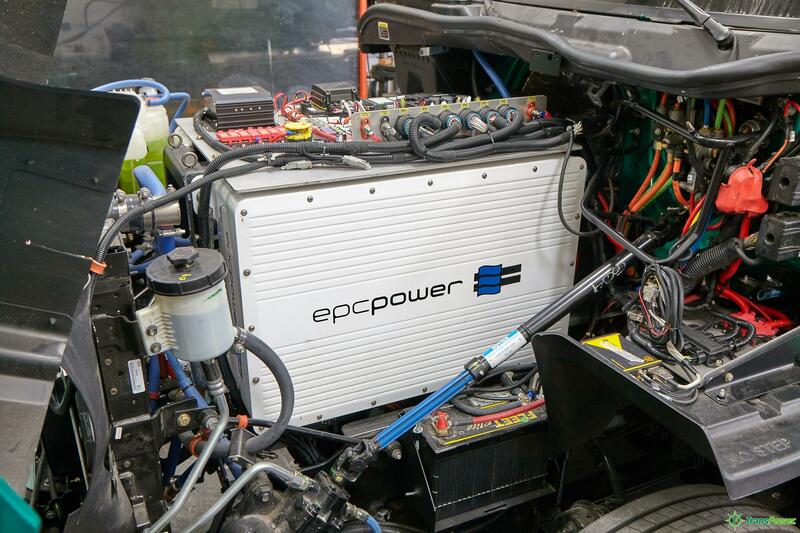 Our ElecTruck™ technology can be installed in your vehicle as a single, optimized integrated system, or selected ElecTruck™ subsystems and components can be used to achieve your specific performance and cost goals. 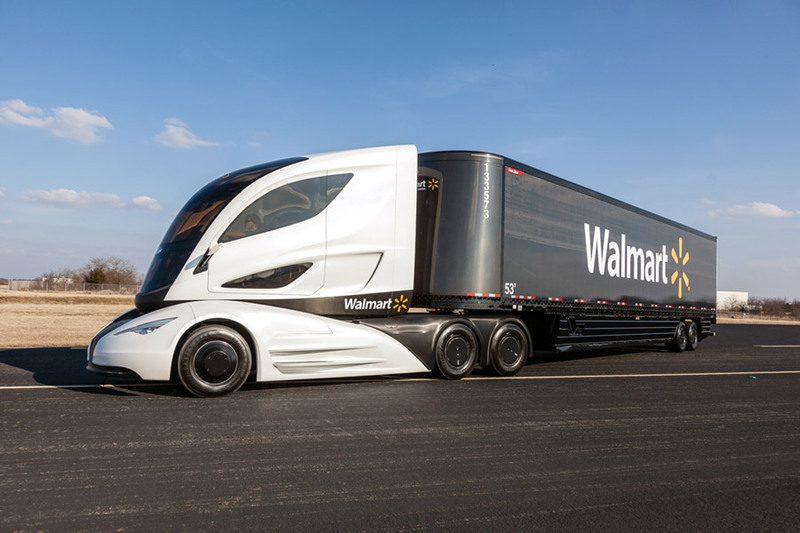 By outfitting vehicles with this technology, you can increase their use-value while at the same time mitigating their effects on the environment. 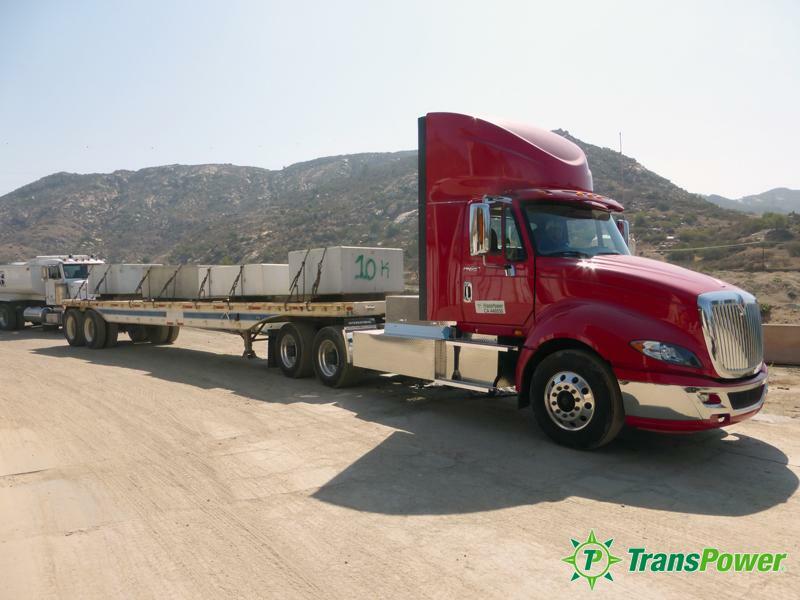 TransPower is committed to providing an exciting range of zero-emission transportation solutions for heavy-duty trucks and other large vehicles. TransPower’s ElecTruck™ product, an integrated electric drive system that utilizes energy supplied by on-board batteries, was designed with building blocks that allow flexibility to adapt and optimize for many vehicle applications. 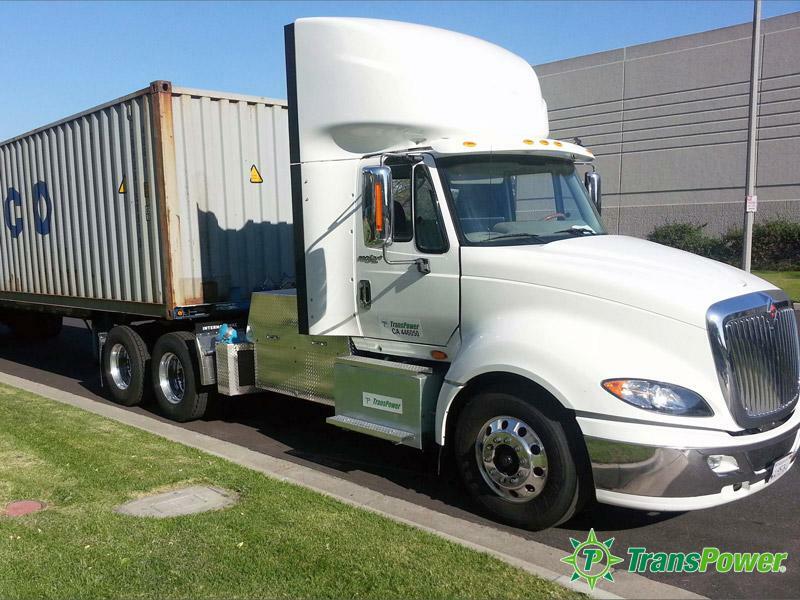 In addition to supplying fully-integrated drive systems for these and other types of vehicles, TransPower provides a range of services to assist truck owners and operators in making the transition to zero-emission electric drive technologies. 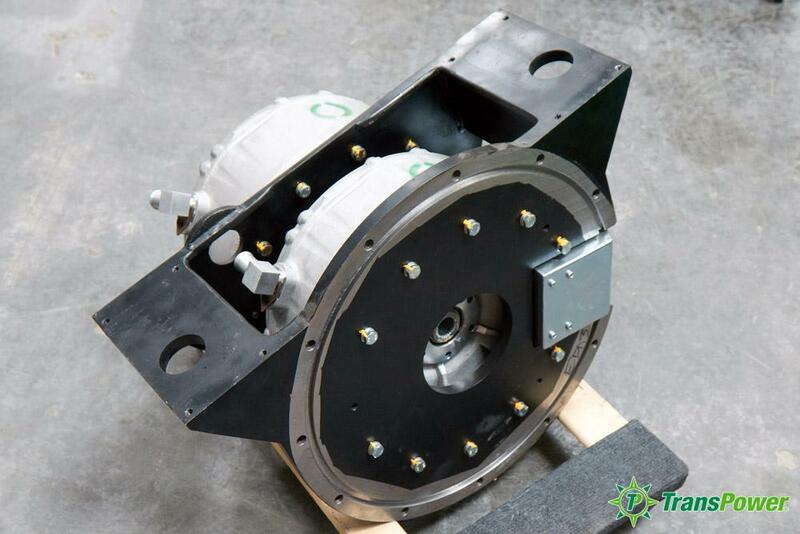 An industry-leading high power electric drive system developed for locally-driven, short-duty-cycle trucks and buses garaged each night (or day) at the same location. The ElecTruck™ system offers technological innovations in several key areas, including energy storage, power conversion, and vehicle control. 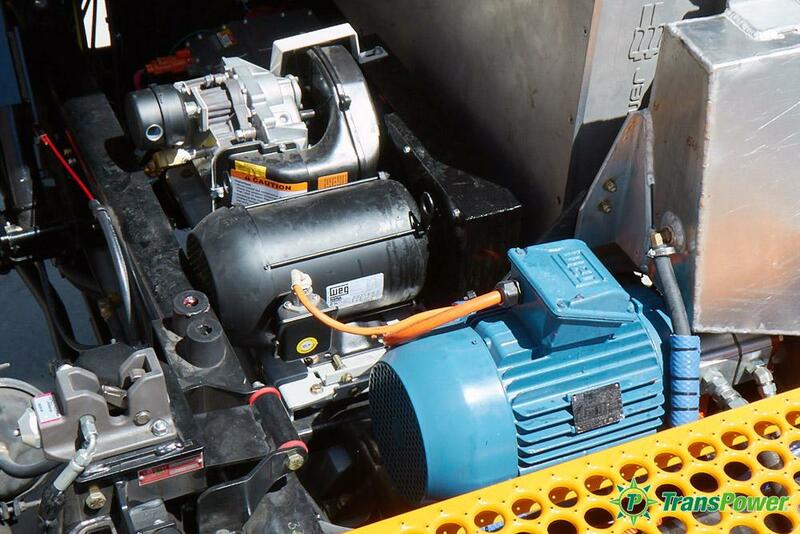 For many vehicle operators, savings in fuel and maintenance costs can often offset the incremental cost of the ElecTruck™ system within a few years. Press releases, news, announcements, etc. 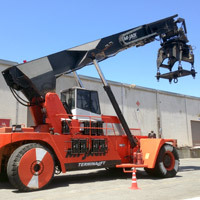 Kalmar and TransPower to Execute Supply Agreement and Showcase Electric Terminal Tractor at ACT Expo in Long Beach, CA. Drag left/right to view previous/next. Click to enlarge. More Photos in the Multimedia Center. The TransPower blog is coming soon. We’re working on it. The comment area will be open as soon as the TransPower blog is up and running. 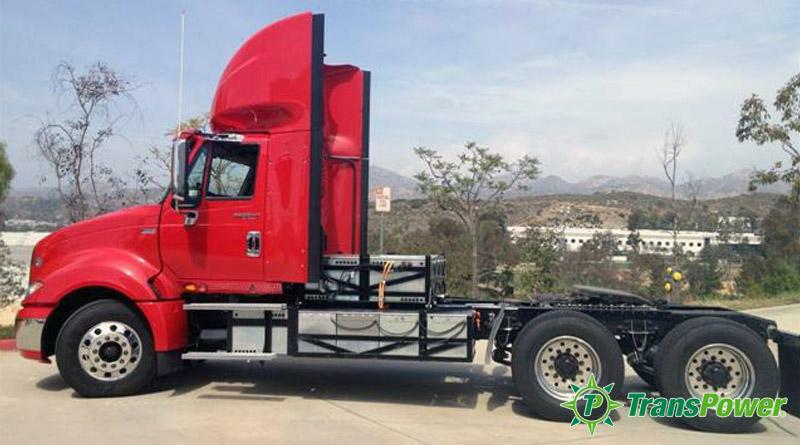 We offer zero-emission transportation solutions for heavy-duty vehicles, ranging from component level to subsystem levels to fully integrated vehicles. Read more about transportation products and services. We deliver technologies and products designed to change the way we generate, transmit, and store electrical energy. Read more about stationary energy storage. 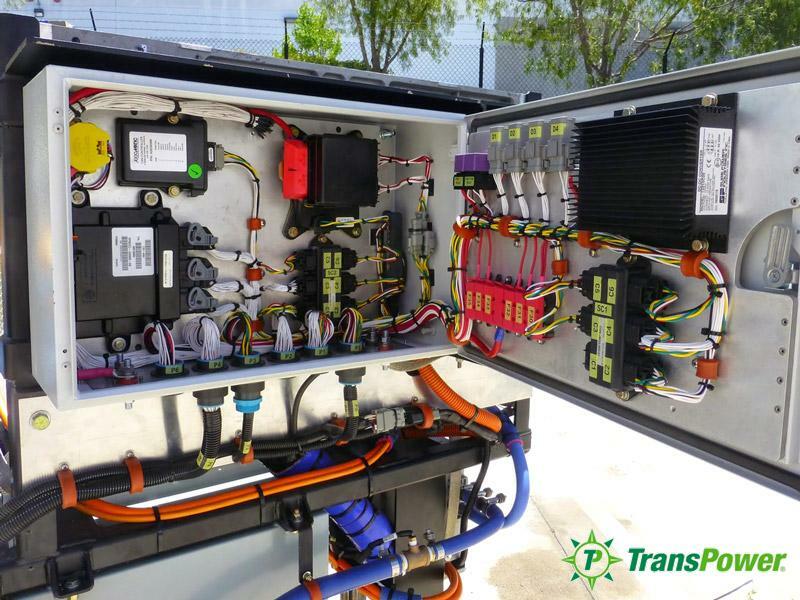 TransPower offers the ElecTruck™ system, an industry-leading high power electric drive system developed for locally-driven, short-duty-cycle trucks and buses garaged at the same location. ElecTruck™ consists of component and subsystem building blocks that allow total integration and customization for your applications. The result is shorter development time and lower development cost, faster fleet implementation and lower life cycle cost, and quieter operation and easier maintenance. 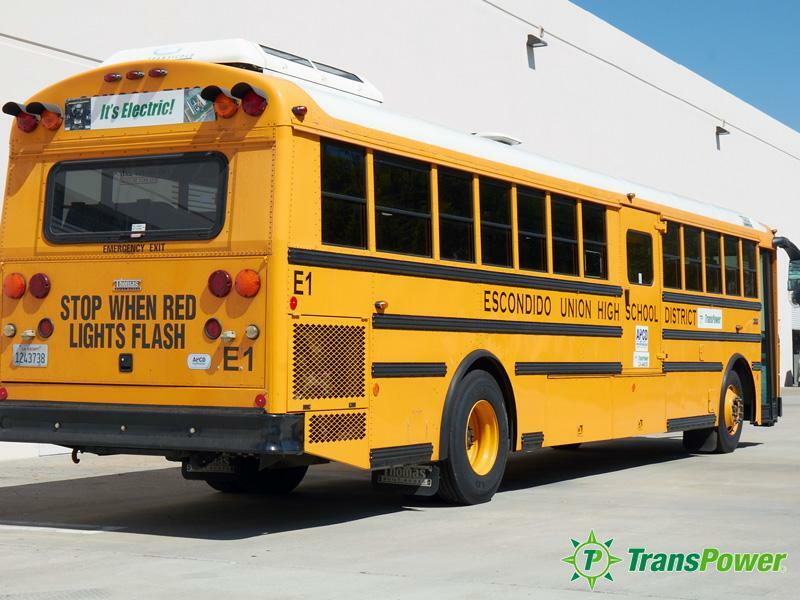 Read more about TransPower’s vehicle applications. 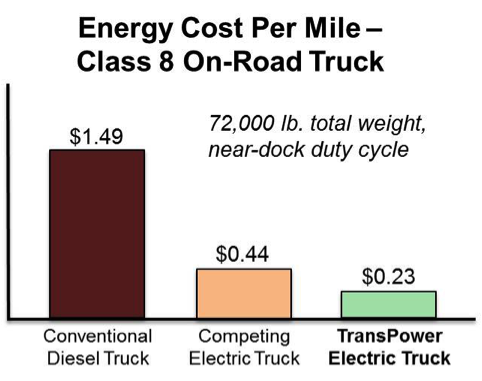 Beside environmental benefits and energy cost savings due to much lower or no consumption of fossil fuel, TransPower’s ElecTruck™ system offers important operational advantages such as quiet operation, ease of maintenance, particularly less brake wear, and no oil change or engine tune-ups. 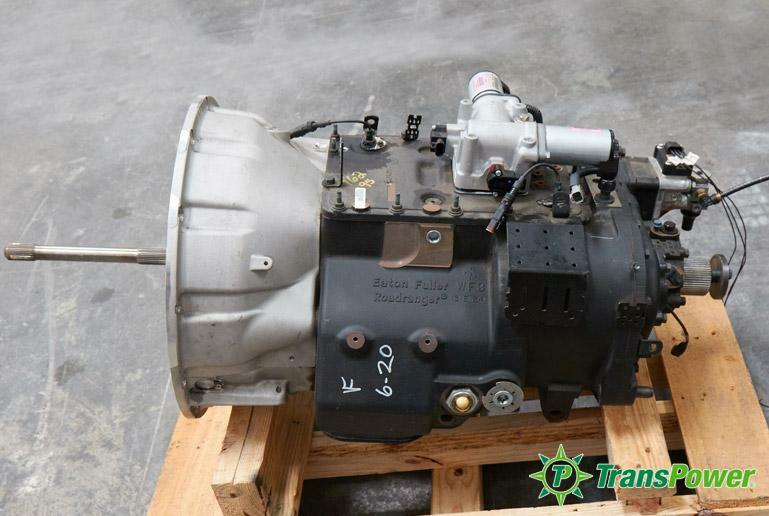 Contact TransPower for more detailed information for your specific application. Payback period is an important consideration for the adoption and incorporation of TransPower products and technology into your fleet. We’d be delighted to share detailed information on return on investment, payback period, performance and test data, environmental benefits and other operational advantages. Please use the form on our Contact TransPower page to get started. 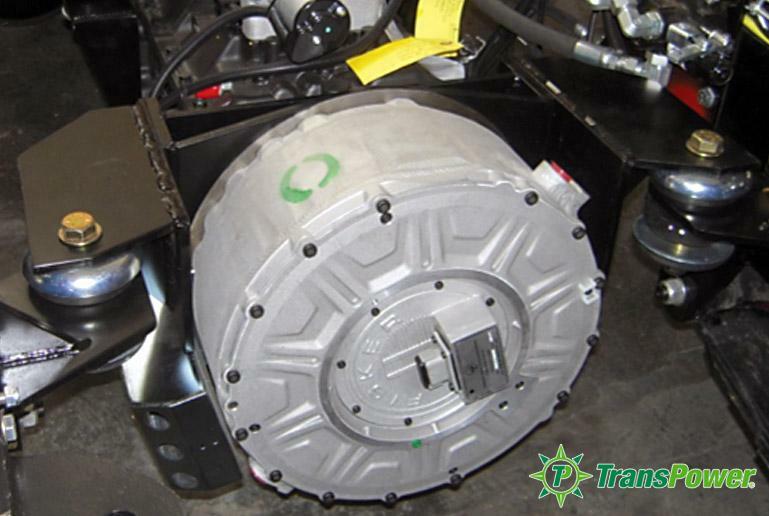 TransPower has performed both install on new OEM vehicles and retrofit of existing fleets. Generally, our team will look at your requirements, review your operational needs, then perform detailed analysis and customize the best and most affordable solution for your situation. Please contact TransPower for detail on how to proceed. 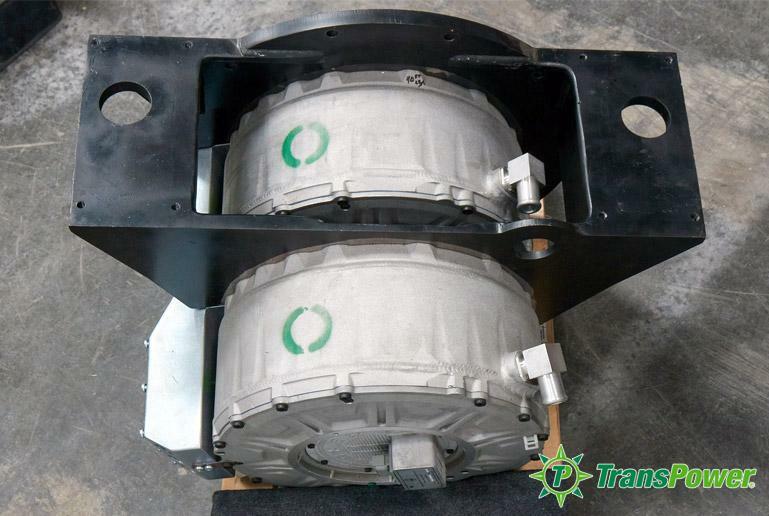 Have a question about TransPower's products? Head on over to our Contact page and leave us a note. We’ll be happy to get you the information you need.